Tougher Doors : The RANGER Pro Shield™ doors come with larger sealing surfaces, full crank-down windows and gaskets to keep the controlled temperature in and the dust out. Climate Control : Enjoy a comfortable ride with the factory installed heating and air conditioning. Equipped with defrost vents and windshield wiper for a clear view. Exceptional Integration : The Polaris Pulse™ Electrical System powers your windshield wiper and dome light and allows you to add an enhanced audio system. 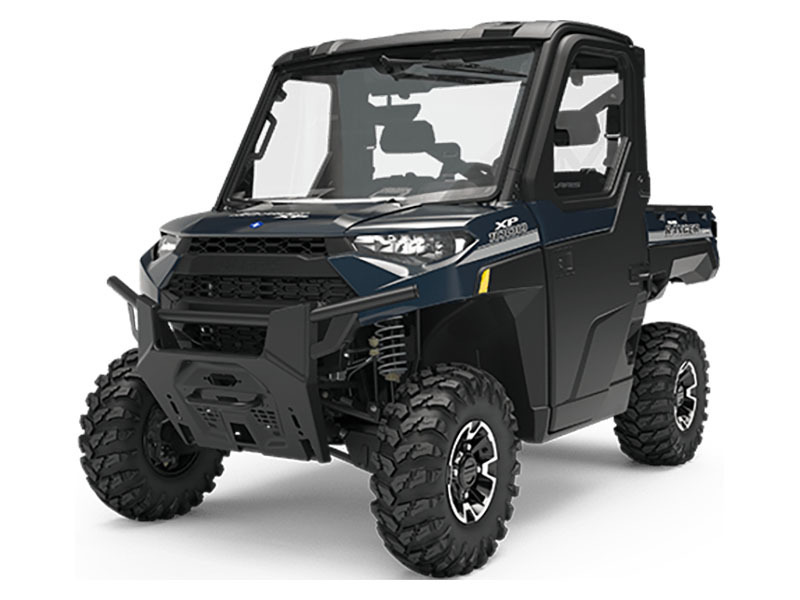 Massive Bumper : The industry’s largest stock bumper is designed to bear the brunt of any terrain and protect the new body work and is loaded with accessory integration points. Heavy-Duty Tires : The massive 6-Ply 27” Maxxis tires are taller and wider with a larger footprint, providing outstanding traction and puncture resistance for rocky terrains and cacti on the ranch. More Protection : When the terrain rears its ugly head, the full-body skid plate and 13” of ground clearance provide the machine with more protection than ever before.